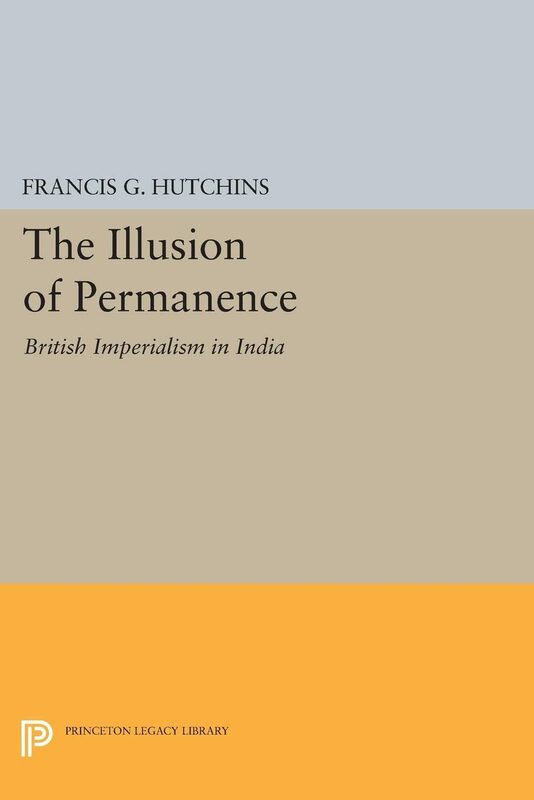 By combining the techniques of intellectual history and social psychology Professor Hutchins provides a new perspective for an understanding of the intellectual atmosphere of British imperialism in India in the nineteenth century. The author stresses that the illusion of permanence began some years before the Great Mutiny of 1857, although it was the Mutiny that made the subsequent imperialistic attitude rigid. His source materials include the writings of travelers, diarists, civil servants, soldiers, and retired officials; such literature as Jane Eyre, A Passage to India, Oakfield by William Arnold, the Works of Kipling; letters, essays, newspaper articles, and records of the Parliamentary hearings following the Mutiny.Originally published in 1967.The Princeton Legacy Library uses the latest print-on-demand technology to again make available previously out-of-print books from the distinguished backlist of Princeton University Press. These paperback editions preserve the original texts of these important books while presenting them in durable paperback editions. The goal of the Princeton Legacy Library is to vastly increase access to the rich scholarly heritage found in the thousands of books published by Princeton University Press since its founding in 1905.